Now in its third year, the collaborative initiative that is Condo London perks up the bleak back-end of January by inviting young galleries from around the world to take up residence in their London counterparts. This year 52 galleries hailing from Shanghai to São Paulo have come to rest across 18 London spaces dotted in clusters throughout the capital’s South, East and West; and last Saturday and Sunday’s preview days (12 and 13 January) found the London art world shaking off its festive torpor to cover this swathe of shows. Given that she is the founder of the Condo enterprise, it was especially fitting that Vanessa Carlos, director of Carlos Ishikawa Gallery, kicked off this year’s proceedings with a compelling performance by Los Angeles–based artist Boychild in her Mile End space. As well as the flickering, clutching, tensing gestures of the gender-fluid Boychild’s piece 'Hand dances. 1000 caresses' (which are also accompanied by closely-related drawings and a video), the gallery was also hosting paintings by Samuel Hindolo, presented by Chapter New York and by Xinyi Chen from Antenna Gallery in Beijing. 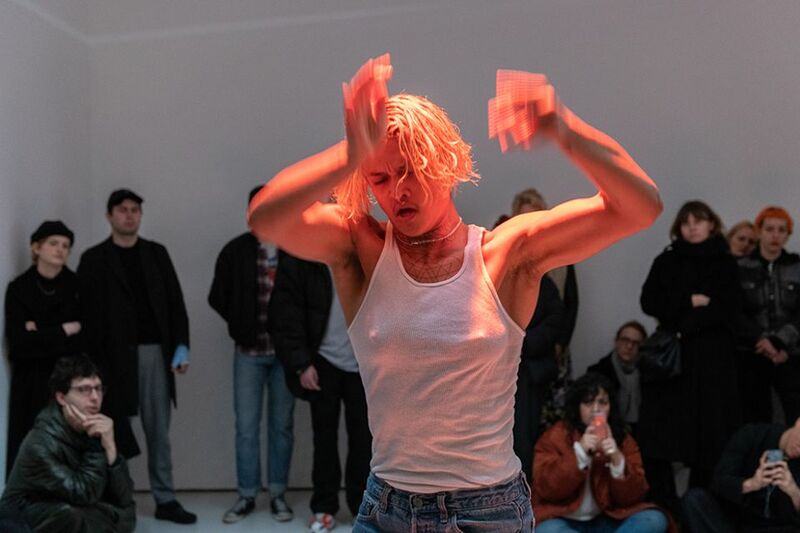 Some observers found Boychild’s hand and body movements uncomfortable, some were rapt, but no one could deny the intensity of the experience which ushered in Condo 2019—an appropriate expression of the artistic and social exchanges that underpin Condo's ethos. Carlos, speaking back in 2016 summed up Condo as “creating a situation where galleries and artists actually have the freedom to experiment.” In our seemingly evermore corporatised, mercantile art world, long may this collegiate spirit of artistic exchange continue.